It’s hard to believe that next week is Christmas, and we just finished Hanukah festivities. Whether you celebrate one of these holidays, another one, or just the time of year, you probably have a list of people that you want to a little something special for. Don’t panic! Here are a few last minute gifts that are sure to please the wine lovers in your life! 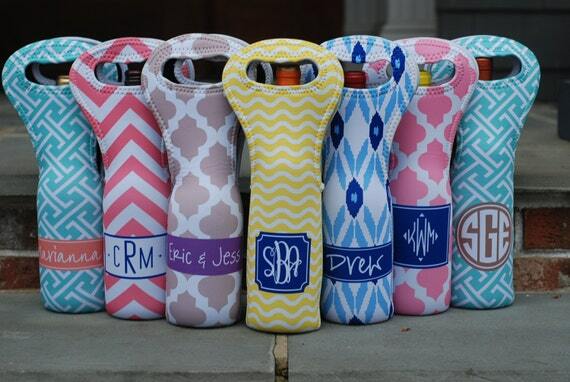 Wine bottle totes – I love these cute little neoprene bottle holders. They make a great gift in of themselves, but you can put your favorite bottle of wine inside and make even more special. I love these soft, cushioned totes for parties, and they even keep those whites chilled! Built New York has a large selection of wine accessories, including the City Tote, which is the perfect light weight reusable bag for your your shopping needs. ($40). They also have wine totes, which come in a 20201 or 2 bottle version. Slightly taller than the CBreeze version, the Built wine tote is great for larger bottles and those odd shaped sparkling bottles. ($15-18). And don’t forget, Wine Folly’s Essential Guide to Wine! Joyeaux Noel, and Happy New Year!